Standard IAS 16 prescribes the accounting treatment for property, plant and equipment and therefore it is one of the most important and commonly applied standards. The main issues dealt in IAS 16 are recognition of property, plant and equipment, measurement at and after recognition, impairment of property, plant and equipment (although IAS 36 deals with impairment in more detail) and derecognition. Property, plant and equipment are tangible items that are held for use in the production or supply of goods or services, for rental to others, or for administrative purposes; and are expected to be used during more than one period. This recognition principle shall be applied to all costs at the time they are incurred, both incurred initially to acquire or construct an item of property, plant and equipment and incurred subsequently after recognition to add to, replace part of or service it. Some items of property, plant and equipment might be necessary to acquire for safety or environmental reasons. Although they do not directly increase the future economic benefits, they might be inevitable to obtain future economic benefits from other assets and therefore, should be recognized as an asset. For example, water cleaning station might be necessary in order to proceed with some chemical processes within chemical manufacturer. Day-to-day servicing of the item shall be recognized in profit or loss as incurred, because they just maintain (not enhance) item’s capacity to bring future economic benefits. However, some parts of the item of property, plant and equipment may require replacement at regular intervals, for example, aircraft interiors. In such a case, an entity derecognizes carrying amount of older part and recognizes the cost of new part into the carrying amount of the item. The same applies to major inspections for faults, overhauling and similar items. An item of property, plant and equipment that qualifies for recognition as an asset shall be measured at its cost. the initial estimate of the costs of dismantling and removing the item and restoring the site on which it is located. The cost of an item of property, plant and equipment is the cash price equivalent at the recognition date. If payment is deferred beyond normal credit terms, the difference between the cash price equivalent and the total payment is recognized as interest over the period of credit (unless such interest is capitalized in accordance with IAS 23). the fair value of neither the asset received nor the asset given up is reliably measurable. If the acquired item is not measured at fair value, its cost is measured at the carrying amount of the asset given up. Cost model: An entity shall carry an asset at its cost less any accumulated depreciation and any accumulated impairment losses. Revaluation model:An entity shall carry an asset at a revalued amount. Revalued amount is its fair value at the date of the revaluation less any subsequent accumulated depreciation and subsequent accumulated impairment losses. An entity shall revalue its assets with sufficient regularity so that the carrying amount does not differ materially from its fair value at the end of the reporting period. If an item of property, plant and equipment is revalued, the entire class of property, plant and equipment to which that asset belongs shall be revalued. Depreciation is defined as the systematic allocation of the depreciable amount of an asset over its useful life. The items of property, plant and equipment are usually depreciated in order to maintain matching principle – as they are in operation for more than 1 year, they assist in producing the revenues in more than 1 year and therefore, their cost shall be spread among those years in order to match the revenue they help to produce. Depreciable amount: Depreciable amount is simply HOW MUCH you are going to depreciate. It is the cost of an asset, or other amount substituted for cost, less its residual value. Depreciation period: Depreciation period is simply HOW LONG you are going to depreciate and it is basically asset’s useful life. Useful life is the period over which an asset is expected to be available for use by an entity; or the number of production or similar units expected to be obtained from the asset by an entity. legal or other limits on the use of the asset. Useful life and asset’s residual value (input to depreciable amount) shall be reviewed at least at the end of each financial year. If there is a change in the expectations comparing to previous estimates, then change shall be accounted for as a change in an accounting estimate in line with IAS 8 (no restatement of previous periods). Depreciation method: Depreciation method is simply HOW, IN WHAT MANNER you are going to depreciate. The depreciation method used shall reflect the pattern in which the asset’s future economic benefits are expected to be consumed by the entity. An entity may select from variety of depreciation methods, such as straight-line method, diminishing balance method and the units of production methods. Selected method shall be reviewed at least at the end of each financial year. If there is a change in the expected pattern of asset’s usage, then the depreciation method shall be changed and be accounted for as a change in an accounting estimate in line with IAS8 (no restatement of previous periods). Depreciation shall be recognized in profit or loss unless it is capitalized into the carrying amount of another asset (for example, inventories, or another item of property, plant and equipment). Each part of an item of property, plant and equipment with a cost that is significant in relation to the total cost of the item shall be depreciated separately. For example, aircraft interior cost might be depreciated separately from the remaining airplane cost. Here, IAS 16 refers to another standard, IAS 36 Impairment of Assets that prescribes rules for reviewing the carrying amount of assets, determining their recoverable amount and impairment loss, recognizing and reversing impairment loss and more. IAS 16 states that compensation from third parties for items of property, plant and equipment that were impaired, lost or given up shall be included in profit or loss when the compensation becomes receivable. For example, claim for compensation of damage on insured property from insurance company is recognized to profit or loss when insurance company accepts claim, closes the case and agrees to compensate (or after whatever procedure is agreed in the insurance contract). IAS 16 prescribes that the carrying amount of an item of property, plant and equipment shall be derecognized on disposal; or when no future economic benefits are expected from its use or disposal. The gain (not classified as revenue!) or loss arising from the derecognition of an item of property, plant and equipment shall be included in profit or loss when the item is derecognized. The gain or loss from the derecognition is calculated as the net disposal proceeds (usually income from sale of item) less the carrying amount of the item. Fully depreciated assets still in use – what to do? – If you own assets with zero carrying amount, but they are still in use, there’s something wrong about it. Learn more in this article. How to account for spare parts – spare parts are a difficult area and the accounting depends on their character. How to account for artwork – as there’s no standard specific for artwork, sometimes it’s necessary to develop your own accounting policy. What are directly attributable costs? – what can you capitalize? What can you not capitalize? When to start depreciation? – If you don’t use an asset, but it’s available for use, it’s the right time. This article explains it all. How to capitalize borrowing costs? Podcast 003: Can we capitalize demolition cost and carrying amount of old buildings? Hello friend i look this and i think your idea is nice! Yes, sure you can – it is unit of production method and in my opinion, this method reflects the pattern of usage in the best way. But this method might not be allowed in tax legislation – so you need to check this. In such a case, you would need to recognize deferred tax. Thanks.But one might argue that this is against the principal of consistency, since we will have different depreciated amounts in each year.Do you think so? Nope. I think it is perfectly consistent with the economic reality and that’s important in IFRS. You are not changing method of depreciation from year to year (this would be inconsistent reporting) – you are just depreciating in line with the machine’s utilization. And this is perfectly consistent also with revenues derived from machine’s use. Because if you do not use machine, you do not have revenues – but you also do not depreciate, so it’s OK. If you use machine very much, you charge high depreciation expense but hopefully you produce high revenues from it. On the other hand, if you depreciate straight-line even if you do not use the machine and do not produce revenues – now that’s problem, because you have costs and no matching revenues. Well, I don’t understand your comment… can you explain what you mean? Charging dep based on hours of operation is not allowed. As the Standard clearly speaks about charging dep even if , initially machinery is not utilized to recover full economic benefits , or the production is below normal production capacity. If we charge dep based on actual machinery hours used, it will be a wrong accounting practice . Yes we can charge dep based on normal operating hours. Dear Jain, I do not agree with the first sentence – you can charge depreciation based on some systematic pattern according to which the economic benefits are obtained (that can be operation, too). In practice, many companies charge depreciation based on actual operation. For example – a car producer operates pressure machine and the pressure machine can produce XY units, then with each press, the depreciation of 1/XY is charged. S.
Hello Silvia. I am a bit confused here. what i understood before was depreciation can be charged based on normal operating hours. If it’s allowed on actual operating hour, wouldn’t it lead to non charging of depreciation if kept idle? Also, there would be no depreciation for assets ready to use but not put to use if we use actual operating hour. Kindly elaborate. Yes, you understood it well. If an Asset is revalued how is the differed tax entry should be passed? For the property, plant and equipment, the entry for asset revaluation is Debit Property, plant, equipment / Credit Revaluation surplus in equity. The entry for deferred tax related to this revaluation is Debit Revaluation surplus in equity / Credit Deferred Tax Liability. Thank you. I have passed this entry already but had a doubt on this weather this differed tax could effect my income statement. That entry is correct, don’t worry. It should NOT affect your income statement (only statement of comprehensive income), because posting revaluation DID NOT affect your income statement. Can you please explian me what exactly we can categorized as Capital Work in Progress? The reason is there is a confusion about advance payments & capital work in progress. 1) Advance payment to building construction? 2) Advance payment to Accounting softwear? 3) Advance payment to machine instalation? 4) Advance payment to furniture & fittings? pls explain what i sthe best area to put above expenses? Hi there, sorry for the late response. It all depends on the point of delivery. If the partial delivery occurs, you can put the expense as capital work in progress. But if it is just advance paid before any construction is made, well then, it’s advance payment – receivable. Kindly provide the reference of IAS/IFRS??? Hi Qazi, what do you mean? I don’t understand your question. Please explain. S.
Do capital work-in-progress (eg. leasehold improvement under construction) qualifies as PPE? Since, future economic benefit is not yet probable? If not, then what is the required disclosure and which standard deals with capital work-in-progress? I would say in most cases yes, it qualifies for PPE, because even if it’s under construction, the future economic benefit is probable (you just don’t have a present economic benefit, as it’s in progress). Also, if you have a control over capital WIP and you can measure its cost reliably – then no problem to report it under PPE. I m agree with ur point.. please give me standard refrence. I would not depreciate “NOW”, only when the asset is available for use – and, semi-finished warehouse is not available for use, is it? Please read more in this article. S.
Thanks for your reply. What about advance payment to Furniture & fitting (Already delivered )? is CWIP? My query is if we can revalue CWIP [in this case a building that under construction and is substantially complete (80%)]. My understanding it that we cant revalue but only check for impairment. I possible please help me to solve below issue. I’m an accountant of an investment company. We do consolidation and have adopted IFRS for the first time from year 2012/2013. In my country (Sri Lanka) reporting period ends on 31-Mar. Our auditors (KPMG) are demanding one of our subsidiary companies (beer) to record it’s bottle containers under Property, Plant and Equipments which now recorded as inventory. What are the criterias that I should consider in deciding whether they are inventory or Property, Plant and Equipments. there are more criteria to consider in deciding whether the item is PPE or inventory. Here, you need to examine how long your company plans to use individual containers. Is 1 container used just for a couple of times? Or can it be used for longer period of time and reused many times? Can you use the same container for more than 1 year? If yes, then basically containers might be classified as PPE in line with IAS 16, because you need to match costs of these containers with revenues over their useful life. Thanks a lot for the reply. It helped a lot. I think we will have to capitalise them under PPE. It is used for a longer period and as per the information I have, it’s a considerable cost. Again, thanks a lot for the information. With regard to your containers in a beer company, you should record it as part of PPE. Deposit value + deferred value bottle bottles and shells, pallets are included to. I have one confusion,earlier I used to depreciate assets as per tax rule but now I changed to depreciate as per Accounting rule (based on useful life ).Tax rule had their one policy to determine rate but now switched to calculate depreciation on the basis of useful life.For this What would be applicable as per IAS 8? Is it Change in Accounting policy or Change is accounting Estimate?? Can you clarify me ? I’m aware that these can be capitalised, but how are the costs that are capitalised measured ? Would we account for the costs based on an estimation of material and labour costs ? Is there an example that I could access somewhere ? what do you mean by “estimation”? You should capitalize only the costs that you have actually incurred and not the costs that you estimate to incur in the future. If you have already incurred some material and labour costs , then you can capitalize them as your testing costs provided you have a system for allocating these costs to testing (some reasonable basis). Don’t forget to deduct any proceeds from sale of items produced when testing. Thank you for very helpful post and video. In regard to subsequent measurement an entity may choose either cost model or revaluation model. I think both models can present useful information for users of financial statements – that’s why both are permitted by IAS 16. In my own personal opinion – revaluation model is more suitable for assets that can be traded on the market, because carrying amount should reflect asset’s fair value. Cost model is more suitable for assets that are used in the production process as depreciation reflects their wear and tear. It’s up to you what you select – but have a basis and be consistent. Can you give a breif introduction about the application for the fully depreciated assets? 1)What options are available for fully depreciated assets? Hi Poshi, could you please clarify your question? If the assets are fully depreciated and you are still using them, then your estimate of their useful lives is incorrect. Maybe you should revise your accounting estimates for your other assets that are not fully depreciated. For all the existing assets, IAS 16 was not applied correctly in the past and if error is material, then it is necessary to apply IAS 8 and restate. S.
Solution: Asset should be recorded at cost lets say $100,000 with accumulated depreciation of $100,000 so the Net Book Value is 0. Asset cannot be depreciated further, because 100% cost has been depreciated already in the profit and loss. The article says that in that case, IAS 16 was not applied properly, because the company forgot to revise asset’s useful lives in the previous reporting periods. If as a result there is a material misstatement, then the company should go back and make correction. There is a full video with a case study there – exact step by step process what to do. S.
Are professional fees related to contracts formulation for suppliers providing the equipment and suppliers in charge in the plant construction also capitalisable? Hi Silvia, Thanks for information. 1. If Assets is fully depreciated in books and still in use . Is it right procedure. As you said you right said there is incorrect estimation of useful life. But what is the corrective action now. Can we do any thing for already fully depreciated assets.. If we follow cost method what would be the treatment in the above case. Please suggest corrective action if we follow the above situation in cost modes. Asset is showing original value against Provision for Dep and WDV showing Zero what would be the value. Hello, Laxmana. I have just published the newest article about it http://www.ifrsbox.com/machines-fully-depreciated-still-in-use/. Hope it helps! Thank you very much Silvia for your prompt response. My company has a letter of credit with bank which guaranties supply of PPE. Now we paid money to the bank, but PPE were not yet supplied to us. Based on “substance over form” we would like to recognise money paid to the Bank as advance for PPE, but KPMG auditors insist on treating it as restricted cash. Meanwhile, there are other companies which treated such things as advance for PPE (they were audited by Deloitte and PWC). I’d like to know, if there is anything in the standards that could support or disprove our position. I’ve not found anything clear. What is the basis for KPMG’s opinion? And also, where is that cash? Is it sitting in your account but frozen in order to pay for PPE? Or did it actually leave the bank account? Because if you have a letter of credit which says that the bank will pay the supplier AFTER PPE is supplied to you, and at the same time, PPE was not supplied, that would mean that the condition for paying the cash was NOT MET, so the cash is still yours, but you cannot really use it (= restricted). Substance of this transaction is that the CASH is yours and PPE is NOT yours. Maybe Deloitte and PWC dealt with the different conditions – I can’t really assess. Hope it helps! S.
It is frozen on bank account in order to pay for PPE. PPE was not yet supplied to us. At first management wanted to pay advances, but later decided to use l/o as more safe. KPMG say that for this moment it is rather our relationship with the bank rather than counterparty. The counterparty will not confirm the receit of money, it can only confirm the existence of letter of credit. But when I pay advance PPE is still not in my ownership and I can treat them as long-term part of PPE. Thank you very much for the web site! Could you please advise,if there is any requirements under any IFRS standard to calculate depreciation in days? For example, if we bought a fixed asset on the 3rd of march, should we calculate depreciation for march as for 29 days? Hi, Olga! 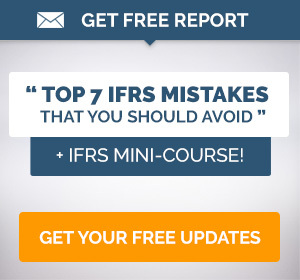 No, IFRS do not require calculating the depreciation in days. In fact, you should calculate the depreciation based on the pattern that reflects the consumption of an asset in the most appropriate way. But of course, if you decide to do it based on days, then here you go, it’s justifiable. S.
Hi, Could you advise Advise what does IFRS say when a company decide to change policy from revaluation model to cost model. Here is the situation Entity X valued its property some years ago and revaluation surplus recorded in equity and being amortised to revenue reserves every year. Now the entity would want to go back cost model. I have gone through, seems to be a huge task as we might need to apply IAS8. The company revalued its land and buildings say at USD10,000 3 years ago. The surplus of say USD40,000 recorded in revaluation surplus in equity. Each year this USD40,000 is being amortised to revenue reserves, this was so to happen for over 50years. Now since the company have decided change to cost model, what would be the accounting entries and necessary IFRS disclosures. Hi Carmen, without having details of your contract and based on my experiences with the similar things I would say your auditors are right. Unless there’s some huge penalty for cancelling the contract, you should not book PPE and liability, because you have no PPE yet. You just have progress billings of 100 000. Also, it’s questionable whether 100 000 should go to PPE and not some advances or receivables. It depends on how the ownership and work in progress is transferred – but that’s another story. S.
Hi, so the company i work for hired someone to revalue all the its property. im not quite sure on how to account for this fee. im thinking i should expense it and charge it to HQ as the cost center. Can you please assist me with the perceived weaknesses and strengths of IAS16 as well as recommendations on how the Standard can be approved? Please can someone charge depreciation on asset that he has not started using, even though the assets is already at his premises? I’d like to understand why you say so. I apologize, but somehow original comments got deleted. In short – someone asked whether we should charge a depreciation on an asset which is not in use, but available, or in the premises of the owner and I responded that except for some spare parts, normally not. So why I said so? Yes, your argument is right – depreciation should start when an asset is available for use. But it’s also truth, that depreciation charges should reflect asset’s consumption. When an asset is in the premises but not used, then it’s appropriate to charge zero for that period, isn’t it? Please see this article for more details. S.
I actually agree with you, but the standard says another thing. So in this instance how do we follow the standard and do what is right at the same time. the standard does not say another thing. It says that you can depreciate by some systematic way reflecting the pattern of the consumption of your asset. Therefore zero depreciation charge is OK when there’s zero consumption. S.
What happen with the depreciation of the fixed assets used in pre-operative stage or start up? can we capitalize that cost too? Dear Dan, you can’t capitalize pre-operating costs as some separate intangible asset, including depreciation. However, if you use fixed assets to construct some other assets, like another PPE or inventories, you can capitalize depreciation to the cost of that asset. Hey, if an asset was acquired at no cost, but there are maintenance costs and the asset produces economic benefits would this be capitalized or disclosed in the notes? The asset would not be replaced if destroyed unless it was seen as commercially viable but it has a reliable replacement cost. Also how should the costs of maintenance of the asset be accounted for? Hi Josh, even assets acquired at no cost need to be recognized in the financial statements at some circumstances. For example, it can be recognized under IAS 20 Government grants if received as a subsidy. Or, it can be received from some customer for the purpose of providing the services – in such a case, you need to apply IFRIC 18 for the initial recognition. You need to examine the substance of the free transfer. Maintenance cost is then treated as a subsequent cost in line with IAS 16. S.
When could I see your “IAS 38 Intangible Assets” summary? I want to see another standards IAS 40 as well. Require your guidance on the below issue. This is an old issue whcih might have discussed earlier. 1. Do we consider it under property Equipment. 2.Do we consider this as advance payment. Hi Mehdi, in my opinion, it is a receivable = advance payment, until your decorators actually make decorations. When you pay the advance, there’s no decoration, so you should not recognize it as such. After the decoration is ready, then recognize it and derecognize advance. S.
Hi Silvia, your knowledge is impressive. I have a similar question as the above. If you contract out construction of fixed assets (tooling) to an external company and pay them upfront, do you need to do an assessment of completion at the end of each year and then make an adjustment between prepayment and assets under construction? Wondering whether you need to Dr. AUC and Cr. Prepayment. Any help you can give would be great. Do you know where in the standard this is covered? Hi Scott, in my opinion, you need to leave it in prepayments until you gain a control over that asset. Just ask yourself: who is in charge of semi-finished tooling? Who bears losses when earthquake (war, asteroid…) strikes? Look to risks and rewards of ownership and then make your conclusion. I know that there are not many rewards resulting from ownership of semi-finished tooling, therefore I tried to point you to look at risks = potential damages and losses. It depends on the specific terms of your contract with supplier. By the way, it’s inherent in the definition of an asset in the Conceptual Framework (=resource controlled by an entity…). In case of merger of five public entities into one entity through the passing of a regulation, how should be PPE of the merged organisation be accounted for in the first year of accounts. Could you please indicate if this type of merger could be considered as Business combination under IFRS 3. Hi Naseem, in the case of merger, you should recognize all assets at fair value at the acquisition (merger) day. If it does not exist, then use net replacement cost. And yes, it can be considered as BC under IFRS 3 (I would need to see the details). By net replacement cost, could we say net book value. Almost 🙂 It’s the cost for which you would get the same asset now on the market, less accumulated depreciation. S.
what is the treatment of travelling cost incurred in relation to purchase of land? What is the correct traeatment of payments made to contractors in relation to unfinished resort project? Capital wip or capital advance? Same question. A client has given advances to contractors for purchase of capital assets (buses). Currently, these are recorded under prepayments. Under IFRS, are these recorded under CWIP till assets are received and then moved to respective FA category? What if these advances are not refundable? It depends on the contract, or at the moment WHEN the control over the asset (partially finished) passes to a client. As we are speaking about the buses, I assume that you have no control of the buses until they are physically delivered to you, is that right? In this case, it’s still a prepayment, because at that stage, it does not meet the criteria for recognizing as an item of PPE. Sometimes, a transport company may get base spares free of cost, alongwith the main vehicle at time of acquisition. These spares are costly, and have a much lesser useful economic life than the vehicle itself, though not a regular use inventory. 1. Issue: With regard to initial accounting, in which the Company does not want to allocate a part of capital cost [invoiced value] to these fixed assets. 2nd Issue: If these base spares are distinctively identified and accounted as inventory, there is a problem with arriving at weighted average costs when co-mingled in stores with identical spares purchased for inventory. 3rd issue: If these spares are not separately accounted, there is difficulty in physically controlling these assets, which is susceptible to theft and misuse, as it is of nil value as it does not have a specific inception cost. YOur views on accounting and controlling the base spares would be appreciated. 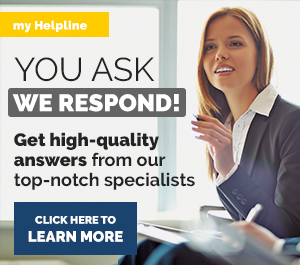 well, this is very practical question and in order to respond, I would need to get more info on your internal processes and accounting, to arrive at the best and still acceptable accounting treatment. Hi Silvia, I have used the summary of IAS 16 from your website for my thesis. How should I reference your article ? Hi Arlene, thank you for letting me know 🙂 The author of this article is Silvia Mahutova FCCA, founder of ifrsbox.com – is that sufficient? Hi Silvia, how can i calculate the depreciation of a PPE bought for =N= 200,000 in the month of March and with 5years useful life on monthly basis. Just wanted to clear some points regarding CWIP. In case we have started a project(seperate division) and we have purchased some non current assets such as laptops and incurred some revenue expenses in relation to that project. What should be the treatment? Should we record Non Current Assets and revenue expenses in CWIP account? or should we record them as expenses and non currents assets in our company’s accounts? Please note that those non current assets are not of constructive nature, they are like laptops, furniture etc. so I need to know whether we should revalue all the assets and take those revalued amount as deemed cost or can we go with our previous WDV as it is. Because due to the huge number of assets and difficulty on verify those we can’t do a revaluation as at the transition date. Hi Abraham, it seems that you are writing some thesis. 🙂 Good luck with that, as I am more focused on the practical application of IAS 16. Thank you! S.
We are a passenger transport company and we use buses to transport passengers. But our auditors say that don’t use this method and they say after five years take written down value of the bus which is 1,687,500 and plus cost of the new engine of 2,000,000 and then reassess the useful life of the bus and then depreciate for that time. So please kindly tell me which method is most suitable and correct. from the way you depreciate buses it appears that you knew from the start that you would have to replace the engines of the buses after 2 years, am I right? In this case, IAS 16 asks you to depreciate separately significant parts of your assets, mainly when they have different useful life (see para 44 of IAS 16). So what you should have done when you bought the buses, was to depreciate the cost of engines over 2 years and the remaining cost of buses over 8 years. I know that the cost of engines was probably not separately stated, but you should have looked to the prices of similar engines when sold separately. 1) Derecognize written-down value of your original engines (so in fact, you estimate their initial cost and depreciate them over 2 years). 2) Recognize cost of your new engines. 3) If necessary, you can estimate new remaining useful life. Please look to IAs 16 para 13 and 14. The suggested treatment of your auditors does not take into account the fact that the written down value of your buses includes some residual value of engines were depreciated over 8 years – this should be removed. There’s the same problem with yours. If you depreciate full initial cost of buses over 8 years, it means that when you replace engines, there are still some old engines included in the carrying amount of your buses. This is quite an impressive site with very impressive answers by yourself! I was hoping you can help me sort out a problem I am having regarding assets of the company that I work for. So the owner of the company acquired office furniture and PCs in 2011 when he started his first business. By 2013 he discontinued the business and ventured into a new kind of business in 2014 that is still continuing now (and for which I work). This new business has its own licensing and incorporation certificate; you can imagine him sort of starting all over again since 2014. Now All the furniture and PCs acquired since he started off in 2011 are now being used for the new business in 2014. My question is how should I value these fixed assets now? & how should I treat the depreciation and accumulated depreciation? Please note the assets were acquired in 2011 but the business began in 2014. Tentatively, I took the value of assets to be the book value as of 2014. I am unsure on what amount to take for accumulated depreciation though. The owner also spent about 20,000 on renovating, partitioning and flooring of his office on rented property. Should I capitalize this? I know as per IFRS I should not capitalize painting, tiling etc. The renovation itself though involved changing the look of the office entirely. This also was done in 2011 while the business began in 2014. I will really appreciate any feedback on this. Thank you in advance! this is typical question for which there’s no precise accounting policy. What I would suggest is to measure cost of your “newly acquired assets” at deemed cost, as outlined by IFRS 1. I know this is not your situation precisely, but in this case it is acceptable, in my opinion. So just take your previous carrying amount as cost of your new assets, set the useful lives and depreciate your new cost = previous carrying amount over the new useful life. Alternatively, you can try to set the fair value of these assets, but this can be hard. Renovating – well, why not capitalize it? The question is whether it brings the asset to its desired condition or location, or not. It all requires careful assessment. Can you consider these costs as day-to-day servicing? I guess not because it changed the look of the office entirely. Maybe these costs not only maintained the asset in its current conditions, but actually improved it and increased their capacity, or useful life. In this case, capitalization is appropriate. Can we capitalized a road which is situated in side the factory? What is the rational behind that? How can we prove that? Isn’t the road an asset that you’ll use longer than 1 reporting period, for the production of other assets/administrative purposes/rental to others? I think that the road perfectly meets the definition of PPE. I think the question touches upon on the ownership as well. The road might have been constructed for the company’s convenience on a land which is otherwise Govt. property or someone else’s property with a permission to lay the road till that land is allotted to someone else or till the owner does not have any other use of that land. In which category the road will be capitalised then? Dear Kapil, I know what you mean, but as I wrote above, it depends on whether the company is able to control the asset (i.e. get the economic benefits out of its use). If yes, and all other conditions are met, then it does not matter that much on who owns the land. But of course, if the land is owned by someone else who restricts the use of the road, then you need to assess it carefully. S.
I am doing Research work on non financial assets in ifrs…..and I generally see that companies are using cost model for valuation of their assets….and they are very reluctant to the use of fair value i.e. revaluation model..as compared with the fair valuation used for financial instruments….why is this so? 2) It’s much more difficult to get the fair value of non-financial assets, because in most cases, there’s no active market. How would you set the fair value of some specialized building, or a machine, moreover in worn-out state? It’s much easier with financial assets. If a company buy a computer for official use and than purchase Internet cable to connect that computer than whether the cost of purchasing cost of Internet cable can be capitalized or should be treated as revenue expenditure. Hi Bayezid, well, this is more question of materiality. In substance yes, because without the cable, there’s no connection to Internet, right? But is it material? In practice, companies normally capitalize everything including cables at initial recognition (when they buy cables with computer). But normally, they simply expense cables when acquired subsequently – and I basically agree if it’s not material. what are the accounting entries for this case? please look to para 40 of IAS 16. It says that when the carrying amount of an asset goes up as a result of the revaluation, then you should recognize in other comprehensive income. BUT – the increase shall be recognized in profit or loss to the extent that it reverses a revaluation decrease of the same asset previously recognized in profit or loss. Of course, I totally ignored depreciation charges in this short demonstration, but these are just comments and it should give you a picture. S.
Thank you for responding and for presenting IFFS in such a way that it is understandable. I am really confused with the treatment of where to charge the demolishing costs if such old building be demolished and another building will be constructed. Also, for the building which was demolished for the purpose of preserving the land only. In both cases, Will be the demolishing costs be part of the land where the building is located or to the old building demolished? And how will be the value received for selling the scraps be treated? your question leaves me a bit confused. What is the true purpose of demolishing cost? 2) Is it related to the land only? To preserve it? And what is the purpose of preservation – required by the law? And also, when was the land acquired – is it now? If it’s a new acquisition of a land and your purpose is just to clean it and leave it as it until you sell it further, then it’s appropriate to include these costs into the cost of land (net of revenues from selling the scraps). But then based on the purpose of land, the question is whether the cost model is really appropriate for your case. Thank you replying. I think it’s clearer for me now. I have gone through you videos and they are very informative. I have couple of queries if you can help me out with it. Firstly, I want to know how depreciation is treated when fixed assets are revalued under revaluation model for accounting of PP&E? Secondly, lets say X ltd has a CGU which is found to be impaired by certain amount say 30,000 and PP&E includes Goodwill of say 20,000, Machine A of say 2,00,000 and Machine B of say 3,00,000. Then how will the impairment be allocated to various assets? 1) When you revalue your asset, you depreciate the new carrying amount over remaining useful life. 2) In this case, you reduce goodwill to zero first, and remaining 10 000 are allocated to other assets by the proportionate share. Hi Silvia, can you plz tell me how interest is accounted in case of money borrowed to finance a PP&E? try to look to IAS 23 for the closer guidance, but in general, if your PPE is a qualifying asset (in most cases, it is when it takes a long time to construct), then the interest should be capitalized. However, when you purchase the asset with the loan money and start using it, then you should expense this interest. S.
What is an appropriate discount rate to use to when there are deferred payment terms? We are buying an asset, paying 10 annual installments. Would a cost of debt or a risk free rate (like under IAS 37) be more appropriate in your opinion? If we were to pay the full amount today, we would likely take out a loan to finance this. in my opinion, risk-free rate is not really appropriate. I would rather go for interest rate on similar instrument on the market, e.g. similar debt or loan. This is also consistent with IAS 18 for measuring deferred revenue (thus your counterparty should do the same, just vice versa). We are a hospitality company and we outsource our restaurant to an outsourcing company.The outsourcing company have a condition that we will provide them furniture and fixtures all and they will pay us for that when they will leave the restaurant but they will deduct the depreciated amount during the period and they will take other furniture with them. But i need to clear that if any damages they made to the furniture during this tenure they have to pay us for that as well other than the net book value of the furniture. They need any standard proof from ifrs for that . so any one can explain how to treat and from where i can get the proof of standard. HI, can you please explain the accounting treatment for a PPE(land) that was once revalued (revaluation surplus taken to Other comprehensive income)but the asset(land) in now disposed at a Profit. do we just account for the profit (based on the difference between sale price and the revalued carried amount)to profit or loss? what about the revaluation surplus in OCI should it be recycle to profit or loss? If we consider land that cost $10m which is treated in accordance with IAS 16 PPE. If the land is subsequently revalued to $12m, then the gain of $2m is recognised in OCI and will be taken to OCE. When in a later period the asset is sold for $13m, IAS 16 PPE specifically requires that the profit on disposal recognised in the P/L is $1m – ie the difference between the sale proceeds of $13m and the carrying value of $12m. The previously recognised gain of $2m is not recycled/reclassified back to P/L as part of the gain on disposal. However the $2m balance in the OCE reserve is now redundant as the asset has been sold and the profit is realised. Accordingly, there will be a transfer in the Statement of Changes in Equity, from the OCE of $2m into RE. You are right, no recycling via P/L, you just remove “redundant” revaluation surplus by making direct reclassification within equity. S.
We own a shopping mall. Are malls are treated as investment property. We are contructing a road that will give easy access to our mall and consequently improved footfall is expected. We assume that increased footfall will bring future economic value to our property. The road is being constructed with the permission of the government authority but will not bring ownership rights to us for sure. Can we capitalize this road as part of our investment property? Or as property plant and equipment seperately? Will appreciate if you can provide IFRS references as well. normally, you would capitalise the expenditures for roads as for a separate asset, as they usually have different useful life than buildings. In your specific circumstances, it is necessary to assess who will carry the risks and rewards of ownership? IAS 16 does not necessary says you need to legally own the asset, but if you can control the asset and have future economic benefits, then you should recognise it as such. S.
Question: My company has a fully depreciated big truck, and it is destroyed. If it is repaired (overhaul, new engine) and put into conditions where economic benefits associated to the asset will flow to the entity, the cost of the reparation can be capitalized or it must be recognized as cost. After the reparation the usueful life will extend to 2 years. The original useful life was 5 years. in this case, I would capitalise it, as effectively, you are adding the economic benefits to the asset. S.
company A damaged assets of Company B while undertaking its own construction works. Company A hired a consultation firm in order to determine the fair value of loss that it would have to pay. Should the amount that Company A paid to Consultation firm be capitalized? Hmmm, I don’t think so, there’s no asset to capitalise these valuation costs to. In other words – the valuation was made in order to determine the damages and the amount of provision, not due to increasing some economic benefits of an asset. S.
Hi Silvia, I know that under IAS 16, if an asset is acquired in exchange for another non-monetary asset, the cost will be measured at the fair value. However, is it measured at the fair value of the asset given up or the fair value of the asset received? if the transaction has the commercial substance, then the fair values of asset given and asset received should be about the same, isn’t it? Otherwise the transaction has no commercial substance 😉 S.
I have a small exercise about WIP to resolve but I would need some help. Could you please help me? What is the value of WIP at 31/12/2011? i need to know if i required asset for 10000 USD and from my side i put penalty for 1000 to deduct from the vendor as late of delivery so at what amount can i capitalize asset and the accounting treatment of penalty. I just came across your website which is amazing! My question is related to capitalization of costs directly related to acquisition or construction of an asset. Would the following be part of those costs when a construction project is contracted to a third party? Further, can we capitalize some of the admin expenses to be allocated to the construction of an asset? IAS 16 states that you should capitalise, along with the direct costs, directly attributable costs to construction, including personnel expenses. Therefore, if some work of these engineers, project team and operations team is directly attributable to the construction of your asset, you can capitalise it (it does not matter that the construction is outsourced – if you still incur your own costs, then do it). Just be careful because you cannot capitalise general and admin expenses – so careful about the activities of in house operations team. We are a passenger transport company and we use buses to transport passengers. Our depreciation policy for buses is 12.5% (8years). However after 1st five years we have to replace the engine of the bus at a cost of RM2,000,000. so what we are currently doing is that we depreciated original cost of the buses (RM4,500,000) over the 8 years and new engine (RM2,000,000) which bought after year 5 separately for next five years (20%). But our auditors say that don’t use this method and they say after five years take written down value of the bus which is RM1,687,500 and plus cost of the new engine of RM2,000,000 and then reassess the useful life of the bus and then depreciate for that time. I have a question. I work in a elevator service providing company. Every year few valuable assets i.e.laptop etc are lost because of hijacking. We usually accounted for depreciation for those lost assets. But at the moment we lost it, our accountant posts it as “Loss on disposal” for the remaining amount if the asset. Is it logical? Is there any other way to show these assets lost as “Unusual Loss”? the thing is that IFRS do not specify any “unusual” or “extraordinary” items. Everything must be reported under ordinary activities, so yes, I guess it sounds weird, but it’s logical. S.
can we treat costumes as fixed assets. They will be used in spectacles for use in the business and can be rented. sure, if useful life of costumes is more than 1 year, then why not? 🙂 S.
Is it possible to capitalize asphalt works done at a customer’s premises ? Are they yours? Are you going to use them? Or are they a part of some project for that customer? Is it possible to capitalize dredging costs ? In general, yes, but it depends on what you do. am a bit confused to the definition of PPE. Can we capitalise small items like curtains, cushions, storage boxes ,wall clock,flower pots, bag for camera. The accountant has capitalised them under furniture and fittings as they will use it for more than 1 yr. Is it ok? Or are there other factors that we need to consider? Does materiality affect classification? Does the rule apply for both small and big amount?kindly advise. you have a definition of PPE up there in the article – once its useful life is more than 1 year and they are used in the production of other goods/services, for rental to others or for administrative purposes, it’s PPE. There’s nothing about materiality in a definition of PPE, but of course, if it’s immaterial and you don’t capitalize it, your financial statements would still be OK.
Now, I’d like to point you to para 10 of IAS 16 – unit of account. So while it would probably be impractical and immaterial to capitalise each single costume, maybe you should capitalise set of costumes as 1 asset. Similarly with furniture – here, you can capitalize set of furniture instead of each individual chair separately. Hope it helps. Is it right to capitalize the hotel expenses of incurred by quantity surveyors and other professionals involved in the construction of an asset as part of the cost of the asset? it depends on the contract with these surveyors, but in fact, if their service cannot be provided without paying them the hotel… then well,these expenses can be regarded as the cost for the professional service (which is eligible for capitalizing). Could you please explain that as per IAS 16 para41 WHY the transfer of revaluation reserve should not be done through p/l but to retained earnings. Also could you please explain the term recycling in detail. IASB made this rule as the revaluation is not considered revenue generated in the ordinary course of business, but simply as the other gain. That’s why it is directly in equity and to keep the situation as such, you do NOT recycle. Recycling currently relates only to some financial instruments and it would require more than 1 comment to elaborate. My query is: 1) ultimately dividend is paid from retained earnings so what difference does it make. 2) if we credit p/l we will be increasing our net profit and hence we can pay more dividends. IAS 16 its very helpful, Guys i have a question please assist. how can i know a useful life of Natural gas pipeline. IFRS do not specify it, but analogically as government grant, you should not credit the gift directly to equity, but to P/L. Hello, I have an interesting question. Let’s say you are constructing a new mine and the project takes several years, and it’s also in a seperate legal entity so there are no other activities earning income. Then this company sells some of the equipments (trucks, excavators, etc.) to get new and better equipment. Does it matter that the company is still in the construction phase? In that case, would the gain/loss on disposal be credited or debited to the project? Or does it not matter, and the gain/loss on disposal of PP&E always goes to the P&L? Thanks for your time. IAS 16 strictly says to recognize gain/loss on disposal of PPE in P/L. If we are replacing an old asset that is fully depreciated – the vendor will remove the old asset and install the new asset. Can the portion of the cost that applies to the removal be capitalized with the new asset? i would like to ask, if the payments of the item of Property, plant and equipment were proceeded but the risks and rewards are not yet transferred to the entity. what is the journal entry. Hi, it seems like a prepayment for the acquisition of PPE, so Debit Receivables/prepayments Credit Cash. S.
I am having a debate. I have an existing PPE that is working on developing new PPE. For example, a drilling rig, drilling a well. While drilling, the rig requires maintenance (could be preventative maintenance or repair). My question is whether this maintenance could be capitalized? I see how it can be operating expense if we associate the cost to the drilling rig and treat it as subsequent cost. But the other argument would be if we associate it with the well and treat it as an initial cost. 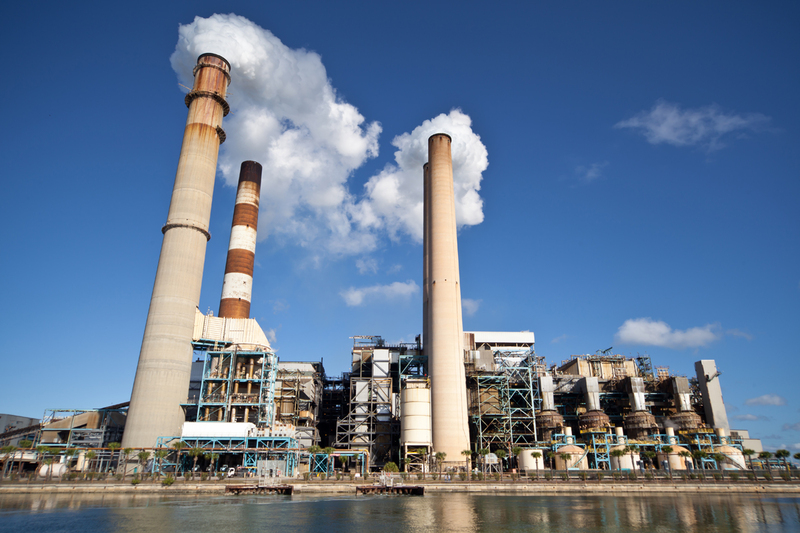 IAS states initial cost includes ALL costs necessary to bring the asset to working condition. And since I can’t create the well without repairing the rig, would that mean it is necessary and therefore requires capitalization. Do you have further insight into this question. Thank you! I would not include cost of rig’s repair into the cost of a well as it is a separate asset. IAS 16 permits capitalizing major overhaul or maintenance cost into the cost of an asset even if incurred subsequently. So if you plan on major repairs, then you can capitalize them and assess whether capitalized maintenance cost has a different useful life from the rest of the rig. (e.g. if you plan on repairing/major maintenance of the rig every 5 years, then depreciate its cost over 5 years). S.
What if, I have reclassified some PPE from Building to Plant and machinery, or to any other head in PPE. What para of IAS 16 will be applicable and effect & notes are required in Financial statements. you mentioned that if one PPE revalues,entire class need to be revalued. Qns:Is there any specific list of class of assets or we need to figure it out logically? 2.When to start depreciating assets?At the point of “put to use” or “eligible to put to use” & what if machine which is being depreciated broke down & shall not be able to use for next 6 months.Should we charge depreciation then or not? 1) We have paid an advance to a vendor for the construction of some capital items in sep and the delivery / completion of that project will be sometime in feb/ mar next year. Can we show the advance paid in this year under construction WIP in this years book? 2) we have a site with buildings and other furnitures on it. We àre now going to dismantle those old buildings and furnitures and build a new building on it. Can we capitalize the written down value of the old fixed assets alongwith the cost of the new assets? 1) It depends on the contract, but if no partial delivery has been made, I would rather showed it as advances (receivables). 2) You can capitalize the dismantling cost of the buildings, but not written down value of old assets. The reason is that it would be very difficult to say that the carrying amount of old assets is directly attributable to the acquisition of new assets. At least – I have never seen it in practice. I am currently doing an assignment in uni regarding IAS 16. I am abit confuse and would like to seek your opinion. If the ppe can last for 15 years but after first 5 years of usage the item would affect the product being produce and can only store forfeited product. My question is the useful life for depreciation should be 15 years or 5 years? Thank you! I’m not sure I fully understand. It means that for the first 5 years, PPE is used in the production and then for another 10 years it is used for the storage? Anyway, if you plan to use PPE for 15 years in total, then its useful life is 15 years. However, it does not mean that you have to depreciate it on the straight-line basis over 15 years. You can depreciate it based on its usage, so your depreciation charges do not need to be the same every year. How can i start with this research ? I really appreciate you helping accountants. I was having an issue to record the expenses incurred for starting a new product under the same company name, can I capitalize such expense? and I f yes then under which head(line item) in the balance sheet? we have given advances to our contractors for construction for extending our production capacity. should I record them in advances, deposits and prepayments or Capital work in progress? 1) it depends on the nature of expenses for the new product. Maybe you should specify what exactly it is. 2) It depends on the agreement with the contractor. Is the ownership/risks and rewards passed to you as they perform? Or at some point of time? I would keep these payments at advaces paid until the asset is passed to my company. S.
A question: when I am selling a significant PPE and I have to pay a significant commission to third parties (helping me to find a buyer and proceed with the transaction), shall I treat this commission expense as a part of the deal and decrease my gain from PPE derecognition/sale? Do I need to disclose it also in my FS notes in the section for PPE movement table? Yes, Vadims, exactly. But, you do not include it in the PPE movement table, as the commission expense does not adjust any carrying amount of PPE, just a gain (in movement table, there are no gains on disposal reported). S.
Please give examples of “for rental to others” under the definition of IAS 16. I would like to confirm if revaluation of PPE carried out after the balance sheet date could be considered as a post balance sheet adjusting events. Naseem, it’s non-adjusting event, as the fair value was established after the balance sheet date. It’s hard to say that these circumstances existed before the reporting date, isn’t it? S.
If under the PPE notes to the FS, there is a row “others” after “additions” and “disposal” but before computing for the “cost of PPE as at financial year end”, what are some possible reasons for the negative amount under the row “others”? For example, under the leasehold building there is a negative ($250,000) classified as “others”. Thank you. Hi. I am currently working as an audit trainee. Recently, while auditing a client I came across an issue regard CWIP. Company A wishes to set up an wind energy plant. In order to do so they need to obtain a ‘letter of intent’ (LOI) from the local govt. Energy Dept. after which they will become eligible for setting up the project. To achieve this, they have signed a contract with a consultancy firm (Company B) which will facilitate them in getting the LOI, perform land feasibility study, negotiate tariffs with the local body, liaison with contractors for constructing the plant, etc etc. The initial award of work paid the B is $750,000, and further payments will be made as contract milestones are achieved. May I get your help in the following question? My company spends the cost on an item which qualifies as PPE, says machine. Can I still debit the cost in P&L instead of capitalizing it? You should not. IAS 16 doesn’t say that capitalizing is an option – once the item meets the definition, you need to capitalize (if it’s material). S.
I think it’s a matter of choice, because the result is the same, isn’t it? But more logically – I would charge 1 mil. to CWIP first and only then transfer the asset in its full cost into Asset account. S.
How to account for dismantling Cost? what is the accounting entries at first and during the useful life of the qualified assets? this is a very broad question and it takes much more to respond than 1 comment can provide. There’s interpretation IFRIC 1 guiding us on exactly this matter and simply speaking – you estimate your dismantling cost, put it to present value and you make a provision as Debit PPE / Credit Liability. It’ very very shortened version. S.
Would like to ask a question about the Work in progress(WIP) in fixed asset. If a company allocate a budget for a project (WIP), and there is an expense of the air ticket for the consultant to come and meeting. The company will charge out from WIP to Fixed asset after the project is completed. Can the air ticket be capitalize? there are different opinions on capitalizing travel expenses. If you conclude that the air ticket was necessary to bring your fixed asset to the desired condition and location, then you can capitalize it. I would say yes, as it is a direct cost of your consultant and you normally capitalize consulting fees. S.
Kindly assist me on this, our one month vehicle was involved in an accident. it is insured, and insurance company has replaced it with a new vehicle as it was total destroyed. My question is, how do I derecognise it in my books? On 1/1/2011 Ringo began to construct a supermarket which had an estimated useful life of 40yrs. It purchases a leasehold interest in the site for $25m. The construction of the building cost $9m and fixtures & fittings cost $6m. The construction of the supermarket was completed 30/09/2011 & was brought in to use on 1/1/2012. Ringo borrowed $40m on 1/1/2011 in order to finance this project. The loan carried an interest at 10% p.a. It was repaid on 30/06/2016. Calculate the total amount to be included at cost in PPE in respect of the development at 31/12/2011. I have a question regarding depreciation of land. – Can land be depreciated? What circumstances are land depreciable? Also I have 2 scenarios below. A: If it is a freehold land, do we depreciate it? B: What if the land is purchased from the government for a period of 70 years? In this case, do we depreciate the land over 70 years? For Case B, if we are able to sell the land back at market value at the end of 70 years, can we still depreciate this land usable by company for 70 years? Plz advise how we can test work in progress for impairment? Making a building to sell, 50% is completed! If we overhaul an asset and replace a part of it, we then derecognise the part replaced. Do we depreciate the new part separately or do we tie its estimated useful life with that of the existing asset? Toyin, it depends on what you plan to do with the depreciated part, but basically yes, you can depreciate it separately. Its useful life then depends on several factors, like: is there going to be the next replacement and when? Are you going to use this part until the end of asset’s useful life? Can and will you use this part after the end of asset’s useful life? Can we capitalise the rent during a renovation of an area of the building, where the building is on long term lease/rental agreement. What is the treatment as per IAS 16 on this case. The building was constructed by Lessor and lessee is using the building to carry his business. The lease term is around 25 years. The building is not capitalized in the books of lessee. But improvements are capitalized. Under such circumstances can lessee capitalize the rent during a renovation of a part of the building. we ordered a customized manufacturing line and is required to pay a 30% down payment after contract signing. what is the correct treatment of down payment? Is it construction in progress or an Accounts Receivable? this depends on what the contract says. But if that’s just an up-front payment and nothing has been delivered yet, it’s simply an advance payment or a receivable. In some countries, this is however shown right after PPE. I want to ask if my company purchased a car near the year end, say Dec 20×1. We received the car before year end and booked according to the quotation (i.e. Dr. PPE $100 & Cr. AP $100). However, next year, the vendor offered a discount and eventually, the car only costed $80 (a $20 discount). I booked Dr. AP $20 & Cr. PPE $20 in 20×2. The problem is, how should I present this movement? In the PPE note to the financial statements, it appears impossible to revise the cost b/f. So I can only adjust through addition or disposal. Which one should I use? I guess this would not be material for the financial statements of the company, so I would simply make a cost correction in the current year (20×2). S.
Can expenses of subsidiary be charged in parent financial statements? I just need a small clarification regarding the initial insurance cost. The insurance amount that we pay when procuring the vehicle is essentially a cost that is directly attributable to bringing the asset to the location and condition necessary for it to be capable of operating. So I am capitalising this cost. From the next year, the insurance cost will be treated as a revenue item (taken to P/L). Is this approach in line with IFRS? Please confirm. Expecting your reply. you can find differing opinion about insurance. In my opinion, if that’s absolutely necessary and you can’t really acquire the asset w/o insurance, then OK, capitalize the cost, BUT – depreciate it separately from the rest of an asset over its useful life – i.e. over 1 year. The reason is that the insurance covers just 1 year and it’s not appropriate to depreciate it together with your asset over asset’s useful life. The company acquires books and all. The question is that can i classify the books and educational materials as part of PPE. To me the standard said for an to be classified under IAS 16, it should be measured reliably and must be capable of bringing future economic benefit to the entity. Also purchases for this asset were made from a personal account but the asset was meant for the company. How do i effect this transaction into the company’s books as the asset bears the name of the company? Can a CWIP be sold? Say I have a building shown under CWIP for 500K since there’s still some pending work to be done. But I have a buyer who’s ready to buy it at its present condition for 550K. Could I sell the CWIP building without having capitalised it? and also record the necessary profit on sale of asset? My company has a piece of land and intends to build a factory building. Can property tax incurred on the land be capitalised as cost of fixed asset during construction period? in most cases no. It’s an expense of the current year. S.
I also have the same question. Do you have any supporting document or news that could explain and help me understand the reason? Vivian, the main reason is that the property tax is usually paid every single year and it relates to the holding of the land and not directly to its acquisition. However, if you incur some initial tax, such as “registration tax” or something similar that is paid solely at acquisition, then yes, you can capitalize it. Is Input VAT on Purchase of PPE can be capitalized as part of the cost when the said company cannot claim the said input VAT since it is VAT Exempt company? What provision in the standard to cite in order to support the assertion? I need help regarding the machinery which is not yet installed but it is in place of the company. In financial where should I will show, and what about interest either it will be part of capitalized asset or not. One machinery has been mortgaged against the loan received from bank for purchased of this machine. Hope u all understand my question. I have a question regards the cases when you buy a fixed asset and receive extra one for free…how should it booked? Fair value? Estimated? the accounting treatment of Capital working in progress for a ceased contract? When we use the revaluation model, or fair model under IAS 40, when the professional valuator tells us that the FV of property is say $50.000, but the company is obliged to pay VAT when selling the property – in books, should the company record gross FV or VAT excl? interesting question. However, are you sure you will NOT sell to VAT payer? In fact, both standards refer to fair value under IFRS 13, not the fair value less cost to sell – in your case, I guess, if you sell to non-VAT payer, then your net price should be before VAT. But the standards are as they are – therefore, I would go for fair value. S.
Thank you for your response. I am not in this situation, I am just wondering if the fair value should include VAT. E.g. the Company buys a property, and records it at historical cost (so the value is net amount taken from invoice), and it looks like at the same day, the Company can say “ok, we revalue, because FV is 20% higher [VAT tax rate] – this is what we paid today”. Would it be ok with the standards? When using Revaluation model for PPE do we have to take into considaration the estimated selling cost or not? What are the requirements for property, plant and equipment IFRS standard?? Rolland, I think that the whole article is about it, so please read it. S.
we are in our company currently having a huge debate as to what is meant by direct costs in reference to employee costs. If you could explain as to what is meant be direct costs in reference to employee costs, what kind of employee costs are considered as direct costs for capitalization as part of assets and also example of any costs directly .If you could please explain the above in reference to elements of cost as per IAS 16, any costs directly attributable to bringing the asset to the location and condition necessary for it to be capable of operating in the manner intended by management. Here if you could also explain as to how to determine direct costs. I can understand your concerns. Directly attributable practically mean that these costs arise directly from the construction/acquisition of an item. In other words – they would not have been incurred without that asset. For example: site workers, in-house architects, surveyors, but also salaries of production supervisors (if that supervisor supervises a construction) apportioned on some reasonable basis. On the other hand, costs not related to a specific asset cannot be capitalized, for example: general management salaries, accounting officer salary, selection of site costs, etc. I think that some items of costs need to be assessed individually. The confusion is mainly on costs related to specific projects. For eg construction of hydro-power power projects. For the construction of hydro power project , we would have formed separate management , recruited accounting personnel,HR and ADM personnel etc, can we consider these costs and any other costs incurred during the construction phase as direct cost and capitalize as part of assets since those costs would not have been incurred if there was no construction. I understand. However, you can’t really capitalize management, recruiting, HR and admin personnel, even if the purpose of your company is just to build 1 asset. These expenses are business expenses and simply do not meet a criteria for capitalizing (IAS 16 explicitely prohibits certain types to be capitalized). It’s analogy to a company which was set up to develop more real estate projects and sell them. They also cannot capitalize their own admin, marketing and other expenses to these buildings. And let me add that without the planned real estate projects, the company would not have been set up and these expenses would have never been incurred. Hope you get my point here. If we treat advance paid before any construction is made as advance payment – receivable, then does this receivable qualify to be treated as a financial asset under IFRS 9? I work within the retail industry and have a question regarding assets that are being constructed, which are then sold to a franchisee. Under the main company, would these assets be classified as Fixed Assets (Assets under construction) or Non current assets held for sale? The Franchisee’s are considered a separate legal entity for tax purposes but are consolidated for accounting purposes. Once the asset is sold to the franchisee – the franchisee would record it as an asset and start depreciation. a) repainting cost for a warehouse – expenses? b) 3 years fire insurance for the purchase of building – expenses? c) material cost £200 with refundable VAT £50. – cost = £150? d) 5 years maintenance contract – expense? what are the perceived strength regarding PPE? Depreciation on additions to property, plant and equipment is charged for the whole year in the year in which an item is available to use while no depreciation is charged for the year in which the item is derecognized. If a company adopt above policy and charged depreciation on month basis not on whole year is this treatment is correct? I would say the second treatment is more appropriate for IFRS, because it reflects the pattern of asset’s usage in more precise way. S.
If we purchased a plant and it was available for use on 01.01.2015 then we determined the useful life to be number of units produced. but in the same time the machine was idle till 31.12.2015. I know that we should charge a depreciation as the machine was fixed and ready but how can we charge a depreciation in this case as there is not itmes produced ? please read THIS ARTICLE, maybe it will help. S.
One of my friends has several investment properties and is in the process of acquiring more. To this end, almost the entire cost of a property has been paid before the year end, but title has not yet been transferred. I am not sure who bears the risks at this point in time. How can this be treated in the books? Dear Madhavan, it also depends on who has control over the property. If it’s not your client and control passes together with a legal title, then I would treat the amount paid as some prepayment. S.
Our Audit Client is a company that sells agrobased commodities, they purchased a vast area of land to cultivate-at the end of the financial year the land is’nt cultivated(harvest period has’nt arrived yet)-is the land a capital work in progress? it does not matter on the classification that much, as you will still present the land in property, plant and equipment. If you ask due to depreciation of a cultivation, then it should start when the cultivated land is ready to use. S.
A company received free of cost generators … These are used generators. what should be the accounting treatment? 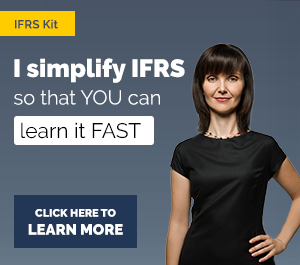 Hi Maria, IFRS is silent about accounting for items received for free (from entities other than government related), but in most cases, the accounting treatment is often similar. You can book the generators in their fair value: debit PPE/Credit deferred income and then, you depreciate generators over their useful life and recognize deferred income in profit or loss accordingly. You should not book the receipt of generators directly to equity. S.
My client received a donation of animals that can be classfied as PPE. What is the credit entry for the entity to recognise these animals? Hi Gerry, if it’s indeed PPE (and not biological assets under IAS 41), then it’s Debit PPE/Credit Deferred income (grant). It strongly depends on who the donor of animals is – is it some governmental agency? In this case, the entry is as I showed you. For more info, please refer to this article. S.
Could you please advise with this issue. Asset is recognized at 100,000€ in the books of the Bank 01/01/2014 and is amortized during 10 years. This means that for BEGAAP on the 01/01/2016 the carrying amount is 100,000 – (2* 10,000) = 80,000 but according to the Fair Value is 95,000. What happens when the asset is said to be transferred to PPE in 2016 under the cost model. Do we have to account an amortization of 20,000 on top of the 95,000? IN PPE what is the meaning of initial estimate of the costs of dismantling, removing…..etc. not an easy question 🙂 First, you need to discount the cost of 50 000 to the present value and then account for a discounted value as Debit PPE/Credit Provision for dismantling of assets. Each year, you need to unwind the discount (charge an interest) to the provision: Debit P/L-interest charge/Credit Provision. S.
in case additional spares are given with a Machinery what time shall it be capitalised? (Ex: one spare is already fitted in and another is given in addition for use say after a while) immediately or shall it be treated as inventory as on arrival and then capitalised on usage? Hi there, quick question. So in a state across different orgs PPE is often transferred by State allocation statements. Question: If 50 vehicles are transferred from org A to Org B (remember they prepare separate FS) then Org B should record this vehicles at WDV in books under cost or should they record full initial cost and full Acc dep existing at the time of transfer? Overall impact is Nil but impacts the disclosure of PPE in FS. Appreciate if you could quote the relevant section of IAS 16 in your response. Hi there, I’m currently busy with a dissertation on IAS 16. Can you maybe please help a bit with positive and negative critique regarding the standard? And also ideas on how the standard can be improved. If you can maybe please just help with pointers on these critiques it will help a lot. Now Building construction work is completed. and Building is now under our possession. Dear Abbabva, if the work is completed and your newly constructed building is available for use, it’s time to start depreciating it. Then you’ll be fine. S.
If an asset with book value of 100 is revalued in an accounting period to 150 and the same asset is sold in the same accouting period for 200. What should do with gain? 50 in OCI and 50 in income statement? or 100 in the income statement? IAS refernece? Dear Moazzam, to be absolutely precise, you would first revalue an asset via OCI (50) and then book a profit from its sale (50). In this case, you should not forget to transfer revaluation surplus to retained earnings (Dr. Reval.surplus/Cr. Retained earnings). S.
Thankyou Silvis M. One thing which is in my case distrubibg me. In a same accounting period, both revlaution and sales was done but In income (profit and loss account), the effect was 50. in case no revaluation was there, the effect was 100. Normally profit for the year is a major concern for sahreholders. But in this was we have diverted some of the gain on sales of assets towards OCI. One thing that i can’t find a written statement about it, is the Advance payments for PP&E as the i found a couple statements that says it should be under PP&E section but with a separate line (advance to pp&e) as for the “Substance over Form”.However in my opinion it should be classified under non-current asset but not under PP&E section. Can you please advise with a written statement/standard to justify the above. We have ordered one machine which can do 3 process after that the finished product will come. supplier supplied the whole machine, installation will happen in our company premises. First process they successfully installed and working properly, but second and third process they are not able to install properly. As of now we are producing the product upto first process and the output which we are receiving from first process we are selling in the market. The question arises regarding when we have to capitalise the machine, and at what price. There is no separate price for first process, second process or Third process. We negotiated the full machine as a package but unfortunately they are not able to install the second and third process to our satisfaction. My question is regarding the treatment of Capital Work in progress, The full amount spend by us on this machine is lying in Capital work in progress. Still we owe the supplier 20% of the payment which as per contract we have to pay upon completion of installation. When we have to capitalise the machine and at what amount. The company did a re-fit at one of its offices, and this cost was capitalised as fixed assets. Years later, this particular office is now no longer in use (colleague were relocated elsewhere) but with lease still running. Should this re-fit be disposed as the asset no longer has future economic benefits at this office and it’s not transferable (the asset are not fully depreciated as the expected useful life is the length of the lease)? Any reference to IAS 16 that the company can use to justify the disposal? have any time period is determined in standard of work in progress to fixed asset. i having a client which one of building is coming in the books as work in progress since last 5 years and no further work is doing because of insufficient finance. what is the standard say about this scenario? please guide me. then your client should test this asset for impairment under IAS 36, because there’s a clear indication that an assets carrying amount can be lower than its recoverable amount. S.
IF THE COMPANY DOES NOT WANT TO SALE THE ASSET AND ONLY DERECOGNISES IT, HOW CAN IT BE SHOWN IN BOOKS TO PROTECT THAT ASSET FROM BEING THEFT ETC. IN THAT CASE CAN A PROFIT OR LOSS BE RECOGNISED. once you derecognize the asset, then it’s no longer in your books. But maybe if the company still wants to hold the asset (protecting against theft is an indicator), then why derecognize? I have a client that has a house that he bought for R500 000, he demolished the house to build a Guest house, which will probably be investment property. 1. Would client be able to impair/fair value adjustment on the house or should be treated as part of the cost? IAS 16 requires that the building and land should be classified as two separate items (IAS 16.58). However, if your client wants to redevelop the land and an old house is an “obstacle” on the land that needs to be removed, then it is appropriate to allocate the full purchase price to the land. Also, it is appropriate to consider demolition costs as attributable to the costs of land. Many developer companies do it this way. Hi Chaman, sure, you are right, I agree, especially if these components are significant and have different useful lives. What are fundamental differences between ias16 and ias40? I think this article would explain it. S.
I have a question to legal cost incurred during a plant construction project by the general contractor with a subcontractor. Are those legal cost forming part of cost to be capitalized. A Company x has ordered a complete factory with a general constructor. The general constructor is involving other suppliers as subcontractors by ordering specific works with them. One of the subcontractors has difficulties to supply in time and in full which leads to a legal claim which incurs legal cost to solve the case. This legal cost are invoiced as part of cost of works from the general contractor to the Company x. Are those cost forming part of cost to be capitalized by company x for the assets deliverd? If a company shares the cost of constructing an asset (50% each) with another company, of which both will derive economic benefits for use, who capitalises the asset? Do each company capitalise only 50%? Basically, yes (if they share control of that asset). Accounting treatment of demolition cost and net book value of Property at the date of demolition? if a company purchase the part of an asset which do not increase the efficiency/capacity of the asset. how should that be treated? suppose these parts value 30% of the net book value of the asset. Should they capitalized? you should capitalize subsequent expenditure if it’s probable that the future economic benefits will flow to the entity and its cost is reliably measurable. So there’s no criterion “to increase the efficiency/capacity of the asset”. Yes, it was there some years ago, but not anymore. It means that if you are replacing major parts, or performing some major maintenance, then you should capitalize. Day-to-day servicing should be expensed. S.
Hi Mike, you can capitalize. S.
after the construction of the building was finished, our company was not satisfied with the work performed in total, so the constructing company reduced the price of construction. The construction was over in previous years, and the price reduction came during the 2016. What should we do? Decrease the value of the building? I assume, no revenue should be recorded? Dear Sylvia, could you please give few examples of depreciable and non depreciable land improvements? Thanks! Question re: demolition costs as part of a capital project and if they can be capitalized. If this is an existing structure to be demolished, but will not be replaced “in-kind”, i.e. not a direct replacement (removal of a roof to be replaced with another roof of the same type), can the demolition (removal of old, fully depreciated tanks, to make way for a new production building) be considered part of site prep and therefore be capitalized? yes, it can. It’s a removal of obstacles on the land. Without these expenses, you could not proceed with the building. S.
Our project has properties under investment properties as well as PPE such as hotels, gas plant etc. And most of them are still under construction. We couldn’t decide the EWC value for each property at the moment as contract was given to contractors and consultants in phase level (Various properties including infrastructure under each phase). We are still using the cost model as project is still under construction but we requested an independent consultant to do valuation last year. The valuation result has shown that the market value is more than our carrying value in overall level however valuation for assets under PPE are less than our carrying value. Based on this our auditor is challenging us that there is an impairment. And it’s a huge gap. We felt that there is an impairment but not a big difference. And also as per our feasibility model recoverable amount is slightly over than the carrying value. We are planning to use fair value model by next year. Please let me know your view whether these assets are really impaired or not. the question is whether these individual assets with potential impairment generate cash flows independent from other assets or not. In other words – what are the assets with potential impairment? E.g. imagine you have pizza oven in your restaurant and valuator says it’s impaired because it’s fair value is lower than its carrying amount. Overall, pizza restaurant (=cash generating unit, CGU) is not impaired because its market value is higher than its carrying amount. There is no impairment on pizza oven, because pizza oven itself does not generate cash flows independent from others. Here, it’s market value is irrelevant. You need to look to your CGUs. S.
I am working for this client who owns Fuel Stations. Under Assets we usually capitlise the total cost of the filling station( Tank, civilian cameras, roof covering the filling station, fuel equipment etc together) then depreciate it as one. Now our internal auditors have requested that we split the assets eg cameras from the total asset cost. Are they following the Complex Assets Part or Separate Component Part in IAS 16 to come up with the decision. We have been thinking if you depreciate these parts separately the usage of Filling Station interdependent on operation as a whole. Hence if one part cannot be depreciated individually. not sure I understand your question fully. I agree with your internal auditors that you should split and depreciate significant parts with different useful lives separately. This is also done within 1 asset. For example, you have an airplane and you need to change some electronics every 5 years (I’m just making the things up). In this case, you depreciate electronics separately from the rest of the airplane. It’s still one asset, but treated as 2 assets for accounting purposes. You should do the same. S.
The issue a hand is that we have been recognizing the Total Cost of Petrol Filling Station as one and being depreciated over useful life of equipment because logically the buildings on the filling station are dependent on the usefulness of the equipment used to provide fuel to clients. Filling Stations have Building on them, Petrol Equipment for putting fuel in cars, underground tanker) all this is grouped in one. Now should these be a separated and be depreciated according to the useful life of each of the assets or we should look at the useful life in totality of the whole filling station when depreciating the assets. I must repeat what I have written – as soon as individual assets or their parts have different useful life and are significant in value (material), you should depreciate them separately. So YES. Depreciating the whole filling station in total is against IAS 16. S.
hi, can i know what is the advantages of PP&E? Hi Silvia! IAS 16 allows to transfer revaluation surplus to retained earnings. The entry is: Dt revaluation surplus Cr retained earnings. We show this in the statement of changes in capital. What about statement of other comprehensive income? Should we reflect it in that statement as decrease in revaluation reserves? I was wondering if you have any articles on accounting of self constructed assets. The IAS 16 do say The cost of a self constructed asset is determined using the same principles as for an acquired asset. The what about direct costs and indirect costs. I would appreciate if you could share on costing of self constructed asset. 1- When we want to revalue the asset, we should revalue all of the assets at the same class. I am confusing about the class of assets regarding land & building. In paragraph 37 of IAS 16 it states the class of assets and it says (land) and (land & building) are two different classes!! so now what should we do when we revalue a building? we have to also revalue the land or land is in another class of assets?! 2- Is it possible to use the revaluation reserve account to issue bonus shares? As far as I searched(! ), it seems there is no paragraph in any IFRS/IAS standard that prohibits us from using the revaluation reserve for bonus issue!Am I right? Is wildlife that is on land that is not fenced are the wild animals considered an asset if so what type of asset? interesting question. My question is: Do you have control of the wild animals on the land? No control = no asset. Does sale of Property automatically trigger a revaluation. For example, the original cost of building is $1M, Revaluation Reserve is $500,000. Sale Price is $1.8M. Please confirm whether the following double entry is correct. My company is building a facility in another location. All the costs related to the same are taken to Capital Work in Progress (CWIP) presently. The Machinery will be relocated to the other facility eventually. Can the above relocation costs be considered as CWIP and eventually be capitalized or should it be expensed? If capitalize, should it go to Building cost or to Plant & Machinery and the depreciation policy for the same? I have a query on the initial recognition of Land & Building. A Company purchased Land & Building for say USD 450k based on Purchased Agreement (no apportionment shown between Land & Building). While as per Valuation report, the Land has value of USD 312k (73%) and Building of USD 116k (27%). Total valuation USD 428k. Hence, the company paid excess of 22k. a) What cost will be capitalized? The actual paid or the one in valuation report? b) If using actual paid 450k, what would be the basis of apportionment between Land & Building? you need to capitalize PPE at COST, i.e. at what you paid. You can allocate the total purchase price based on their relative fair values. S.
I have a question regarding revaluation of PPE. Let assume the company is having 5 items of computer equipment says computer A,B,C,D and E. now after revaluation the company found that computer A, C and E have a surplus of $ 10, 12, and 15 respectively while computer B and D was having revaluation loss of $ 17 and 14 respectively. Now my question is, does the company allowed to net off revaluation surplus and loss for the above individual items and record (net revaluation gain $6) or it should recognise revaluation gain ($37) and loss ($31) separately?? assume there was no revaluation loss in the prior period. I have one question, because I am a little bit confusing. There is a mobile provider, which gives mobile phones freely because the company has a lot of subscriptions. What should be capitalized in that case? I have a few questions regarding the International Accounting Standards of Property,plant and equipment. -what are the positive international critique with respect to the standard? -what are the negative international critique with respect o the standard? I have a problem please help me out. Yes, in general, expenses to remove obstacles can be capitalized. S.
Should the demolition cost of old asset be capitalised or expensed? Capitalized into the cost of a new asset. A company entered into a “contract to sell” with another company wherein the company will acquire a land which shall be paid in installment for 5 years. During the year, the company already paid 3 installment payments equivalent to 23% of the total purchase price of the land. The total purchase price of the land is inclusive of 3.5% interest per annum. Contract to sell states that the ownership shall be transferred to the company only upon full payment after 5 years. However, upon default of payment, the contract shall be terminated wherein the amounts previously paid will be considered as “rental payments (since the company is already using the said land for the construction of its warehouse). Is the land capitalizable as Property and Equipment even if the transfer of ownership is only upon its full payment (after 5 years)? Based on the recognition criteria, it seems that an economic benefit will flow to the company due to the usage of the said land. in my opinion, it is a capital expense and you should recognize the cost of new kitchens in the statement of financial position (separately or as a part of the units, but then depreciate them separately if they have different useful life). Don’t forget to derecognize the carrying amount of old kitchens. S.
Hi Silvia When does one depreciate an asset over the remaining useful life or over the total useful life ? Especially when based on straight line method of depreciation.! over the remaining useful life that is determined at initial recognition. S.
Could you please explain what is The Modified Accelerated Cost Recovery System (MACRS) and is it allowable as per IAS-16? are designated as Assets held for sale and they are eventually disposed of but some time later after the dipsosal year ,some costs arise that would have ordinarily been capitalized had the assets been existence.How would one go about accounting for such costs? Carol, this would be expensed in profit or loss. These costs do not represent an asset as such and cannot be attributed to any other asset (as the assets were disposed off). Which fixed asset category should sea containers (20 ft. and 40 ft. containers) be placed? What’s the usual estimated useful life used for such containers for the purpose of depreciation? I hope you are having a good time. I really enjoy your articles on IFRS and like the way your present them with so much of simplicity. I have one query in IAS 16, In IAS 16 it is written if we use PPE for rental to other then it will be covered under IAS 16, but IAS 40 says the same thing that if we use land, building or equipment for rental purpose then it will be covered under IAS 40. Could you please clarify me in this regard. I understand IAS 16 allows two accounting treatments for the subsequent measurement of PPE. What if an entity measured their PPE from cost to fair value (using market value), then after few years decided to change from revaluation model (due to inability to obtain reliable estimates for the market value of PPE) to cost model. Also IAS 16 provides no guidance as to the above circumstance. I wonder if the entity is allowed to change the measurement basis under the interpretation of IAS 8. Appreciate your thoughts on this. My company purchased a vehicle valued 100K. Supplier has issued an invoice and payment terms are 25% down payment and balance is payable in six installments by issuing Post Dated Cheques of 12.5K each. Asset will be available for use after two months as it takes approximately two months for registration and additional work. keeping in view the above scenario how the down payment and additional acquisition cost will be accounted for. It depends on when you acquired control of vehicle, i.e. when the vehicle was handed over to you. Until that moment, you should recognize just some advances paid within the receivables. S.
2. The license to operate the plant is given to a third party. The environmental provision has been accounted for except the finance charge. The prevailing market interest rate is 8%. Hi Andrew, I think the treatment will be similar as described in this article. S.
In case if a company has received an escalation claim from the contractor for overrun or delay of a capital project, whether that escalation claim should be charged to P&L or sholud be capitalised? Can we charge depreciation relating to factory machinery or plant into the cost of sales/cost of manufacturing? my client is constructing a building for operational use in two phases. in current year, one portion of the building would be operational and other portion would continue to be constructed. My question is, the portion which would be operational at the end would classify as Fixed Assets or continue to disclose under CWIP? Because its being constructed as a single building but my client wants to start the operations in the constructed part of building. A land and apartment development company bought a land for sale by way of their regular form of business (i.e. to sale land to customers) at $10m. However, after the purchase of the land they decided to use the land for their own business purpose and so they transferred the land from inventory to Property, plant and equipment. After a few years they revalued the land and thus a revaluation reserve was created for the revaluation surplus. Now, after few more years the company decided to sale the land as their regular form of business, so they transferred the land back to inventory at its original historical cost at the inception at $10m (as inventory is measure at lower of cost and NRV) and after the transfer they sold the land to a customer and recognised the sale and cost of sales and profit on the sale in the statement of profit or loss and other comprehensive income. Is this final transfer of Property, plant and equipment to inventory possible under IAS/IFRS? Can the profit on ultimate sale be recognised in the statement of profit or loss and other comprehensive income? What will happen to the revaluation reserve that was created, if the asset is sold as is the case? Please help me out on this issue. Looking forward to your reply. I Have a confusion over whether Depreciation of PPE used in the construction of new plant can be capitazed into CWIP or not. yes, you can capitalize it. 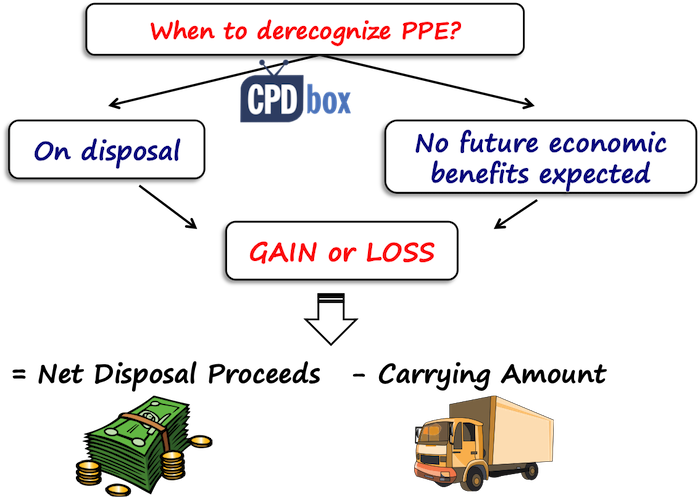 And no, you will not have a double depreciation charge – the reason is that if you capitalize PPE used to build a plant, that depreciation charge is not recognized in profit or loss, but in the cost of a plant. And, because you will derive economic benefits from the new plant for many years, it means that also PPE used in its construction brings the economic benefits for many years after its depreciated to zero. S.
My Company owned some buildings for over 10 years now, one of which had to be demolished because of deterioration. The land is now converted into a carpark. My question is should the demolition costs be capitalized or expensed. We are planning to rebuild our company headquarters in the near future where the carpark will no longer exist. Can you point me to the standard to support the answer please. Hi Karen, removal of obstacles can be capitalized as it represents the indirect cost. S.
Can the cost of disposal of an asset be capitalised to the carrying value of the asset? The carrying value of the asset is nil but there is a cost to dispose the asset. There are also no proceeds. So this will be a loss on disposal. But can I capitalise the cost of disposal? If so, do you mind pointing out in the standard as i cant find it? Dana, you can capitalize the cost of disposal only if you make this disposal to remove obstacles and to prepare the site for the new asset. Otherwise no capitalization, but in profit or loss. S.
Hi Mira, can we capitalize as PPE pedestrian way built for office administration near the office which we take under rental? Yes, and then depreciate over the useful life or rental period (whatever is shorter). We have to undergo integrity testing on some of our infrastructure to determine whether it warrants refurbishment, or if we should demolish and re-build entirely. Can the integrity testing costs be capitalised? I would say no, this should not be capitalized, because this testing cost is not directly attributable to bringing the asset to its location and condition necessary to operate. As I understood this testing cost should merely help you make some decision, but not to test whether the asset is capable of full operation. S.
Hello Silvia, I have a question regarding land and building. According to IAS 16 they are reported separately. Is there a case when land is capitalized in cost of building? I mean, for example, from 100% of land, 20% is used for construction of a building, and the remainder is free of buildings. That part (20%) should be capitalized or not? Please, provide guidance regarding acquiring land for construction purposes. Building is used for administrative purposes so IAS 16 should be applied. Thank you in advance. How to account for the loss on exchange of assets without commercial substance? It should be recognised the loss or not recognised? Because I found some textbook which mentioned that the loss should be recognised immediately (maybe due to prudent), but another textbook say it should not be recognised like the gain. Which one is correct? Hi Jacque, yes, for presentation purposes it’s OK as soon as you depreciate them correctly by their useful lives. S.
I would like to ask regarding advance payment paid to the contractor for construction of asset which is paid before any construction is made but will be repaid by the contractor in a form of deduction to future interim payments of each milestone until the completion of construction. Currently, the construction is at milestone 2 but the amount of advance payment is already recognized in full in construction-in-progress account. Thus, could you please kindly advise on the accounting treatment of this advance payment including basis with reference to applicable standards? Moreover, whether there’s any relation as to whether this advance payment qualifies as a financial instrument? I think this article will fully respond your question. S.
The article specifies the delivery of PPE but the case is construction of asset. If the accountant argues that this advance payment is also one of the milestones since it’s also one of the costs of bringing the asset to its current location, etc. So your advice is still to treat this as prepayment? One of our client purchased a Motor Van to use in the business (IAS 16). After 4 months the Motor Van was completely destroyed in a car accident. My question is: How to treat the loss in value of the car. As an impairment or as a disposal? Hi Marinos, if the car is totally destroyed and you cannot sell any part of it (for spare parts or something like that), then just derecognize it. However, if you think you would obtain at least some cash from the sale of some parts or so, then just book the impairment loss (because in this case, you would expect at least some economic benefits). S.
I have a question regarding the prepayment of construction work. I read your article about “Accounting for Prepayments in Foreign Currency under IFRS”, but it did not really answer to my question. I am responsible for the accounting of a multinational company in telco sector and I was also responsible for this area in an other multinational company a couple of years ago. I see two different reporting rules in these companies (the prepayment is part of CAPEX in one case, but in other case it is reported under short term debts), this is why I am asking. In telco specific construction contracts usually there 3 milestones: design, provisional acceptance and final acceptance. The contract and the milestones include hardwares, software licences and implementation cost. The risk and reward of hardwares passed to the customer at the provisional acceptance, and the customer will be entitled to use the licence at the final acceptance. In normal cases the CAPEX spending (Dr PPE – Cr Creditor/Cash) should be recognised at the relevant acceptances. The issue is that we should pay much higher amount at the dates of acceptances than the delivered services and hardwares. For example we have to pay 65% of the hardware value at the design acceptance, however the risk and reward will be passed at the next phase. The implementation cost is peanut compared to the hardware cost. Can you please help me how we have to account the hardware, software licence and implementation cost at each milestones? Are they part of CAPEX? How we have to handle the not earned part of the milestones (kind of prepayment)? Is it should be reported as CAPEX or under short term debt? I am buying a manufacturing machine of concrete products in Germany, and I am based in South Africa. Do I capitalize the import duties and clearance cost incurred, if so how do I go above doing that? I am auditing a Religious Organization. A temple and other associated structures are being constructed with funding from the state. The organization is managed by elected Board members from the community for a term of three years. As the constructions of the buildings take more than the three year terms the decision of one Board varies with the succeeding Board and the certain parts of the temple are demolished and design changed involving huge amount. The head of the state commands the demolition. What should I do with the cost of construction and the demolition? – Segregate the building cost by 2/3 method and charges depreciation on the building? – AND in subsequent year write off the building cost? Please advice us on how to determined the cost of building alone? the question is what the original intention with the land+building was. If the client acquired land plus building together with aim to remove the building and sell the land, well, this could be a good argument to say that these removal costs can be capitalized into the cost of land as they are necessary for preparing the land for the intended use/sale. But if the client used the building itself and only then decided to demolish, then it’s necessary to split it and account for the building/land separately. S.
Thanks in advance for considering this question. What is the fine line between changing an estimate in useful lives and accelerating the depreciation vs. recognizing a loss on disposal. For example, what if we identify a change in the use of an asset in the next month or two…would you recognize depreciation for the remaining two periods (therefore accelerating all remaining depreciation)? Would you ever see someone accelerate depreciation in the same month the disposal occurs? could you please advise should we treat as asset Satellite imagery. this image is used to monitor ice movements on sea, etc. Hi Muhammad, no, it’s not a change in accounting policy. S.
similar items are always assessed based on the specific situation, but in general yes, that could be included with the equipment, because I guess that these manuals can be used only in relation to this equipment and they are of no use separately. S.
Hi Silvia. Perusing through the IAS 16 and I need advise on treatment of asset received from trade debtor to offset debt in our books. There was no exchange of asset however one of our trade debtors repaid their debt by giving up one of their asset ( RO Plant with Water storage facility). We will need to book this asset at FV? What treatment do we apply to the difference between the FV of the asset & amount of debt that was agreed to be settled from this agreement? We are conducting out a feasibility study for the expansion of our project. We are currently debiting the cost to WIP. Please advise if the expenses incurred towards this study be capitalized after the project is successful completed. OR What happens to the cost is case we decide not to go ahead with the expansion after the feasibility study is done. well, feasibility study is here just to assess whether the project is viable, the location is OK, etc. In general, you cannot capitalize the feasibility study, because it is equivalent to research and in most cases it is not specifically attributable to the individual asset (as relates to assessment of many locations…). Maybe if you describe what it relates to, I would be able to assess it better. S.
Can I switch from revaluation model to cost model for Property, Plant and Equipment after 5 years’ adoption of revaluation model? I do not find any paragraph in IAS 16 in regard to change in accounting model . Please comment. Our bank is adopting IFRS for first time and fair value as deemed cost is selected for class of asset, as per the the consultant advise the revaluation gain( surplus) goes through directly through retained earning by refereeing the following “Paragraph 11: The accounting policies that an entity uses in its opening IFRS statement of financial position may differ from those that it used for the same date using its previous GAAP. The resulting adjustments arise from events and transactions before the date of transition to IFRSs. Therefore, an entity shall recognise those adjustments directly in retained earnings (or, if appropriate, another category of equity) at the date of transition to IFRSs.” How ever , they have a difficulty to address the tax consequence. In Ethiopia, tax authority allows us to use the cost of the asset as a deduction for deprecation. Can you please describe the tax treatment as per IFRS. Hi Mira, this is very unknown area of business for me, but in general, you should just stick to the basic definition of an intangible asset. Is it identifiable? So, can you really separate the images and sell it – just hypothetically? Is it considered as set of images? Did you pay one-off fee or do you pay the annual fee? Do you pay the fee per image or on what basis? For me, it’s very difficult to answer as I don’t know the substance of the contract – but I really like this question, so if you can give me more details, I will elaborate an answer either in podcast or in the separate article. Thanks! S.
HI Silvia, thank you for your feedback. For example such companies as Spatial Energy provide a collection of high resolution satellite and aerial imagery, topographic maps, and digital elevation models (DEMs) for use by oil and gas companies to increase speed to drilling, maximize production, and monitor and protect their assets. Its imagery and data solutions include high resolution optical satellite imagery; radar satellite imagery; aerial photography. can we consider such type of images as intangible assets? But Information on Satellite image will be for short period, and situation on image will not be valid after season or years.Original image can be be re-processed by Buyer in order to see the proper situation on satellite of ice and native format of image is not valuable than post processed image using soft. And on what basis do you pay? Per image? Or is it an annual fee? In table wrote “Revolution surplus” …….. Please correct spelling. For group consolidation, if let say my Singapore office (Holding company) depreciable amount = cost, while my subsidiaries in China = Cost – 5% residual value. Do I need to make consolidation adjustment to align to holding company’s policy, which is no residual value. Thank you. Alan, residual value is simply accounting estimate, not an accounting policy. You have to apply uniform accounting policies, but not estimates. Maybe it’s reasonable to sell your assets at 5% of cost in China, but for 0 in Singapore. S.
We had an earthquake which damaged some of our buildings. We are currently working on a building to bring up to standard. The work is in progress, some in WIP account and $200k committed not spend. We had a valuation done as part of year end. The valuation was done based on the completed work. How do I now account for this. Is the cost of the building the initial cost, the cost plus WIP or Cost plus WiP plus committed towards end of project? how to recognize the artificial grass for stadium? PPE or expenses? Hi Silvia, what standard should I check for construction in progress? The company I am working for recognizes the materials to be used for construction in the plant as prepaid assets since the construction has not started yet. Is that correct or should it form part of PPE or CIP? thank you so much! When an advance payment made to a vendor for construction of a building which will be set off against over two years how it should be trated in balance sheet. Should it be a current asset or non current asset? By definition, non-current asset but you need to examine the conditions of potential refund of the advance, etc. kindly resolve my point, is Vehicle is capitalized at the date when registeration charges of vehicle are paid ? If the payment of registration charges is a MUST before you can actually use the vehicle, and you already have control of that vehicle, then yes, that’s the moment. IS RFD needed for changing its estimated useful lives for equipment under IAS 16? Is Deferring expenses on certain small items and showing them as other receivables on balance sheet allowed under IFRS? for example expenses on gondolas,signboards etc which aren’t considered as assets but are written off within 1 year from date of purchase. Or is the right treatment to expense the costs as incurred.what if they are purchased on December 31? If the impairment results are uncertain within the prior accounting period (say a building is damaged by fire in mid 2018 and the insurance says that it is repairable) but then they become certain in the current accounting period (in early 2019 the insurance says we don’t have sufficient money to reconstruct the building because we had to remove the asbestos found and we had to demolish 95% of the building in the process) – how is that recorded? Can you use the Revaluation Model in 2018 to capture the change in value prior to impairment and then the change in value after impairment? or you have to continue to use the Cost model since that is how the building value was recorded in the accounting periods prior to impairment? But then you have the building insurance which provides coverage to market value and/or replacement cost, whatever is higher. Essentially, you are in a situation where you had a property of a higher market value when the impairment occurred than when it was purchased, then you may either reconstruct if you invest some more or recover some value from insurance proceeds. I have consulted IAS 16 on which costs can be capitalized. I would just like to confirm, the costs of the materials needed to construct these assets, do they form part of the asset base or do they get expensed? Also an in house project manager has been hired, his salary should form part of the cost of the asset right? When does capitalization commence? I would assume we have a capital work in progress account which accumulates all these costs and once the ENTIRE project/expansion is complete do we capitalize i.e employee benefits relating to the workers and project manager to the asset once its available for use?